As the International Space Station celebrates its 15th anniversary we take a look at the history, purpose and fate of mankind’s greatest achievement. As the most expensive and ambitious structure ever assembled, the International Space Station has been an unequivocal success in its continuing mission to impart a wealth knowledge upon all humankind. We spoke to the man who oversaw the construction of the ISS and one of the station’s most recent residents to tell the incredible story of this $100 billion marvel. 15 years ago on 20 November 1998, a Russian Proton rocket lifted off from the Baikonur Cosmodrome in Kazakhstan. Its payload was a single module called Zarya (Dawn), funded by the US and built by Russia, that would serve as the first component of a global venture the likes of which had never been seen before. Just over two weeks later, on 6 December 1998, Space Shuttle Endeavour flying on the STS-88 mission took the US-built Unity module into space and berthed it with Zarya. With the connection of these two inaugural modules, construction on the International Space Station (ISS) had begun. The ISS is perhaps the greatest example of what can be achieved through international cooperation. With a cost estimated at around $100 billion (£63 billion), the most expensive manmade structure ever assembled, the logistics and planning of building and operating a space station of this size have been stupendous. Today, many members of the public take the ISS for granted, with astronauts and cargo regularly making their way to and from the station 420 kilometres (260 miles) up seemingly with ease, but the construction and operation of this technological marvel have been anything but easy. John Shannon, now the ISS Program Manager for Boeing, was the launch flight controller for NASA when Endeavour undertook that fateful mission in 1998. Having worked at NASA for 25 years up until earlier this year when he joined Boeing, Shannon oversaw the development and growth of the ISS into the marvel we know it to be today. The challenge of building the ISS has not only been from a technical standpoint, but from a political and logistical one as well. 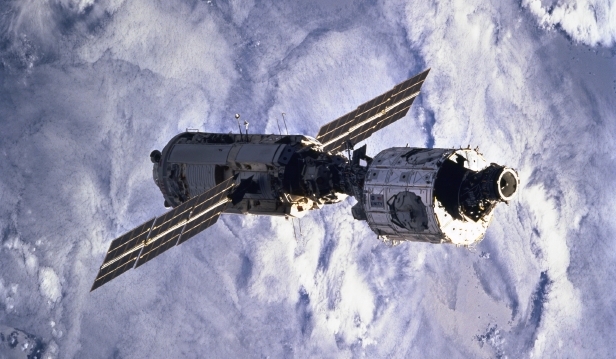 The station was borne out of the cancelled American Space Station Freedom and Russian Mir-2 programmes, with those two projects merging along with commitments from other international partners including Japan and Europe into the space station in operation today. Space Station Freedom was first proposed in the early Eighties, but cost overruns and budget cuts saw the programme continually delayed. In June 1993 a crucial vote in the House of Representatives saw an attempt to scrap the programme fail by a one-vote margin (215-216). Had the programme been scrapped, it is likely the ISS as we know it would not have been built, as many of the components from Freedom have been incorporated into its design. Another pivotal moment in the development of the ISS was the decision by the Clinton administration in September 1993 to partner with Russia in the station’s construction. NASA was finding the prospect of building a station of the scope and size of the ISS to be a daunting prospect, both financially and technically. Russia’s involvement would prove to be vital; they could supply several of the modules needed for a fully operating station, as well as the Soyuz and Progress spacecraft needed to take crew and cargo into orbit. The plan for the ISS was ambitious, to say the least. While it was preceded by a number of space stations, namely America’s Skylab and Russia’s Mir and Salyut stations, none of those could compare in size and complexity to the ISS. Here was a station that would be as big as an American football field upon its completion and weigh more than 330 cars on Earth, while also providing a liveable environment in which astronauts could continuously live. Soyuz spacecraft could take crews to the station, but it was the Space Shuttle that would be the key to building the ISS; the robotic arm on board the shuttle was needed to berth various modules together. The Space Shuttle Columbia disaster on 1 February 2003, when the shuttle disintegrated on re-entry and killed its crew of seven, therefore put the station’s construction on hiatus while the Shuttle programme was grounded for two and a half years amidst safety concerns. Aside from that period, construction of the ISS has continued unabated to a point today that many see the station as being complete and fully operational, although some further modules are planned. The ISS has now been continuously manned for a record of over 4,700 days since 2 November 2000 when Expedition 1 began, the first long-duration crew to reside on the ISS, surpassing the previous record of almost 10 years (3,634 days) held by Mir. Why is the ISS important? ”The building was the first big thing,” explains Shannon, “and now we’re really into the utilisation and we’re starting to see this eye-watering breadth of activity.” Since its inception the ISS has had numerous goals, but it has focused around three main areas. The first is research that could improve life on Earth. Thousands of experiments are running on the ISS at any one time, and many of these have direct connotations for counterparts on Earth. This includes medical research, physical sciences, curing diseases and developing new materials. Through this goal alone the ISS has more than proved its worth. The third key use of the ISS is to serve as a destination for a new generation of spacecraft designed by both national and private space agencies. Throughout its lifetime it has welcomed the Space Shuttle, Russia’s Soyuz and Progress, the Japanese HTV (H-II Transfer Vehicle), the European ATV (Automated Transfer Vehicle) and SpaceX’s Dragon capsule. The newest visitor was the Cygnus spacecraft, built by Orbital Sciences, which is competing with SpaceX for commercial cargo contracts from NASA. And the visitors don’t stop there; in the future Boeing aims to send its manned CST-100 capsule to the station, while Sierra Nevada Corporation wants its Dream Chaser space plane to ultimately dock with the ISS. On board the ISS the astronauts have a lot of work to do. Although the station experiences a sunrise and sunset every 90 minutes as it orbits the Earth, the astronauts still structure their days like they would on Earth. They operate on GMT, waking in the morning before completing tasks throughout the day. These can range from station maintenance to experiments to, on rare occasions, extravehicular activities (EVAs, or spacewalks) outside the station. They are afforded some ‘downtime’ to relax, which many astronauts like to make use of by heading to the Cupola module and staring at the Earth or taking pictures, before heading to bed at night in their telephone booth-sized private quarters. Every day they must also do two and a half hours of exercise to ensure their body survives the adverse effects of living in a microgravity environment, such as the decreased bone mass that can occur. These simple quirks of spaceflight to grand experiments like the Alpha Magnetic Spectrometer, which is hunting for signs of dark matter, are a testament to just how much the ISS has benefited mankind, and there’s still much to learn. While the operating lifetime of the ISS is currently under discussion, with the current preference being to keep the station running until 2028, those involved with the space station are anxious to keep it going as long as possible. “15 years from now we’ll be thinking about [de-orbiting the ISS],” says Shannon. By then, our knowledge of space exploration will be such that we can safely and effectively expand our sphere of influence in space, and we will have performed groundbreaking science along the way in experiments that couldn’t be replicated on Earth.